In the previous post i showed an example for the extended high latitude ascending orbit coverage recorded this year by Landsat 8. 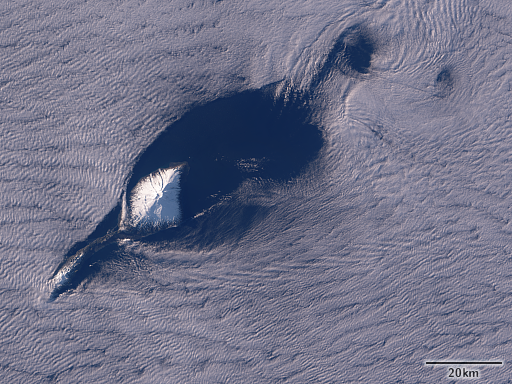 Here another example of the Island of Jan Mayen with the unusual late evening sun position and a nice cloud framing. I wrote more in depth about the nature of high latitude evening images of satellites in sun synchroneous orbit last year. 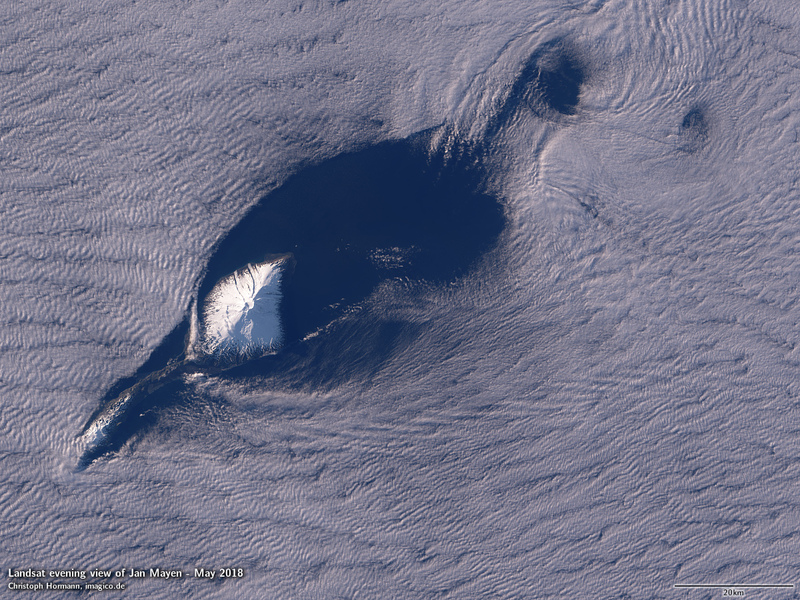 For comparison see my Jan Mayen mosaic based on normal morning images from later in summer.